...and full of vibrant colours. 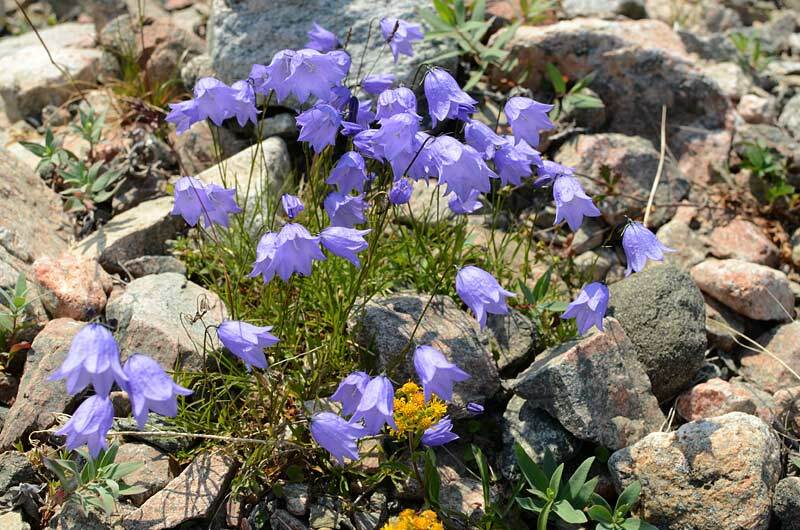 Children play with Arctic Harebells, putting a purple blossom on their fingertips and pretending it is a thimble for play-sewing, or else that it is fancy-coloured fingernail polish. Children avoid Northern Goldenrod plants, however, calling them "bumble-bee flowers" because summer-time insects are so attracted to the dense clusters of yellow blossoms.